Thanks to videoconferencing, doctors can examine and diagnose patients all over the world without even leaving their office. This gives people in remote areas access to healthcare services that they might not have in other places. It also helps patients get consultations without having to travel long distances. This remote care will completely change the face of the current healthcare industry. A doctor with video conferencing solutions in San Jose can consult with a patient in a rural part of Florida and offer treatment advice with one simple video call. Healthcare is extremely expensive in a lot of places, which means there are a lot of people who live without it because they cannot afford it. Video conferencing solutions are very affordable, however, which helps a wider range of people gain access to care that can help with ailments and maybe even save their lives. This cost-effective option provides real healthcare alternatives to a lot of people who really need them. Best of all, the cost of video conferencing solutions continues to fall, which makes it much more accessible to doctors all over the world. Videoconferencing can also help doctors consult with other doctors to figure out the best way to treat certain patients. Whether one doctor wants to talk to another doctor who specializes in a certain field or wants to get a second opinion before doing a particular procedure, videoconferencing makes it easy to do just that. If you work in the medical field, you should set up videoconferencing in your office so you can easily communicate with others in your field. During a deposition, the legal practice must keep detailed records of all of the information that a witness might divulge. A court reporter has the skills and the equipment to record everything that happens during the deposition so your office has all of the information it needs. When you work with a court reporter, you can always reference this information when you need it. 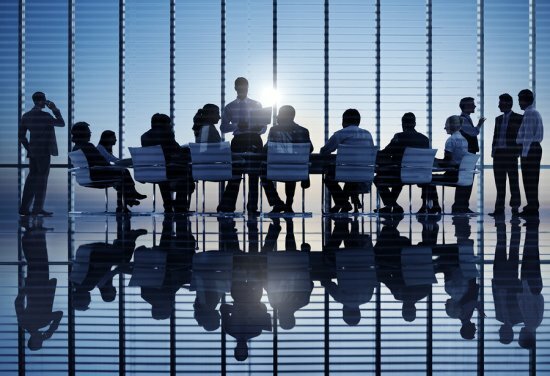 It is extremely important for all parties to utilize court-reporting services during an arbitration or a mediation to have detailed records of what happened during the session. This way, anyone can reference the records if there is any dispute about what happened during the meeting. Court-reporting services provide easy-to-find proof of these meetings. Court reporters are essential additions to any trials or hearings. With their recording services, your office has access to written proof of what happened during the process so you can offer your clients the best legal services. Legal statements usually help a law office prove something for a client. When taking a legal statement, it is important to have a court reporter that can provide a detailed account of the statement to help you build a case for your client. As you begin to collect information before a trial, a hearing, or an arbitration, you must have accurate records that you can reference to help you build a strong case. Court reporters provide these records for you so you can always reference what was said during a certain interview. If you work in a legal firm, you should hire a court in San Jose to ensure that you always have the information you need. What Is the Importance of Interpreting Services? With the help of new technological advancements, it is easier than ever to do business with people in countries across the world. Since so much business is now conducted internationally, it is incredibly important to utilize court-interpreting services that help you interact with people from all over the world. If you want to succeed in the business world, it is essential to use interpreting services. Interpreters make it easier to interact with people from different cultures and give you a way to ensure that legal proceedings are properly conducted. 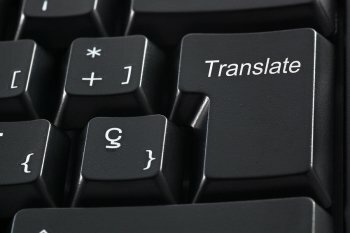 Court interpreters who speak, Arabic, Armenian, Cantonese, Japanese, Khmer, Korean, Mandarin, Portuguese, Punjabi, Russian, Spanish, Tagalog, and Vietnamese give you translation services that you need to conduct your business. Interpreters can help you expand your business and start dealing with new clients. Find a court interpreter in San Jose to offer you translating services that give you the ability to conduct business on a more international scale. 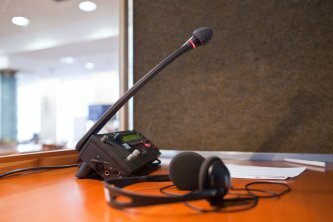 What Services Do Court Interpreters Provide? Many people think that court interpreters only work in the courtroom, but actually they are involved in every step of the legal process. Court interpreters in San Jose speak a wide range of languages when they are needed at police stations, immigration offices, meetings, and courtrooms. Their goal is to take the meaning of spoken or written word in the source language, and duplicate it in the target language. To learn more about the services that court interpreters provide, read this article. Pulone Reporting Services of San Jose is connected with people from all over the world, which is why we can provide you with a qualified court interpreter in any language needed. With that said, we have court interpreters who are certified and registered in widely spoken languages, including Arabic, Cantonese, Japanese, Korean, Mandarin, Portuguese, Punjabi, Russian, Spanish, Tagalog, and Vietnamese. We also have court interpreters who are certified and registered in less frequently spoken languages, such as Armenian and Khmer. Court interpreters provide interpreting services in a variety of settings. They are usually assigned to do court work, which is where they are able to use their knowledge of the legal system and the particulars of a specific case. But court interpreters are trained to provide interpreting services at conferences and other meeting places as well. When working in arbitration proceedings, court interpreters frequently work in a team—especially if the case lasts more than one day. Court interpreters are frequently called to work at police stations and immigration offices too. Court interpreters make it clear from the start that they will attempt to maintain impartiality, seek to uphold justice, and aim to contribute a better understanding despite language barriers. That is why court interpreters, though friendly, will avoid conversations whenever possible.